Today, we’d like to focus on one of the first artists to join the CoCo Gallery network, Stephen B. His larger than life portraits have been made into United Nations stamps, rightfully so, as he has put a lifetime of effort into traveling the world and raising awareness of the beauty and nuances of indigenous populations through his art. 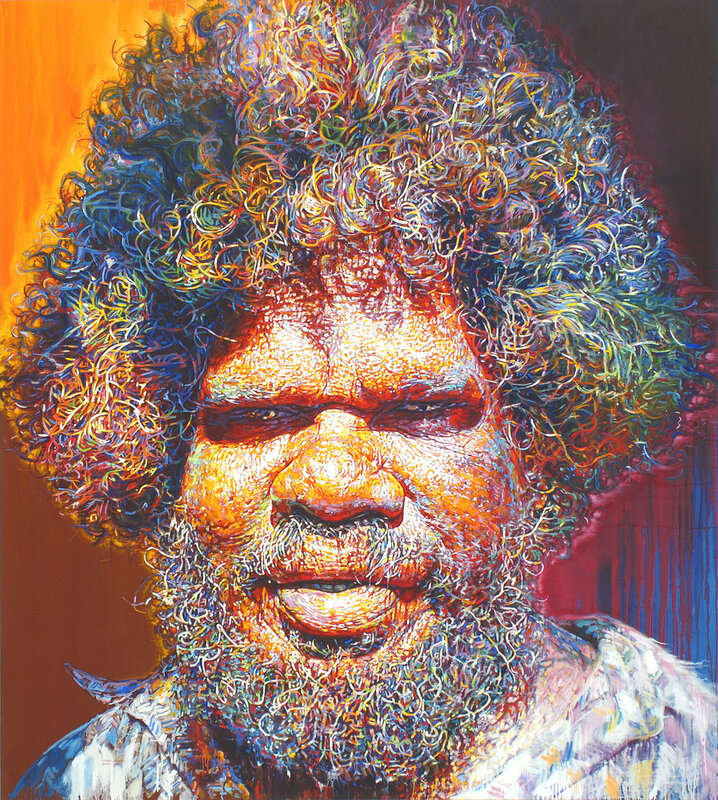 His mission is to preserve and celebrate the world’s diversity through a unique style of realism using interpretive color. Sadly, 45 large portraits and his life’s work, were lost in a recent studio fire while Stephen was away on a painting trip in Indonesia. We spotlight Stephen today to raise awareness of his unique talent and also to promote his work. CoCo Gallery is proud to offer commissions from Stephen at a 50% discount. In addition, we can provide clients with a tax-deductible receipt, as the proceeds from sales will go towards his nonprofit, Faces of the World. This painting and more were lost in the fire. From an early age, Stephen had a strong fascination for the human face. Despite being an incredibly versatile artist, Stephen settled into portrait painting fairly quickly, coining a colorful style that artists in various corners of the world have tried to replicate. Over the last 20 years, Stephen traveled to over 30 countries, seeking out often marginalized ethnic groups and highlighting their facial features and ritual adornments at a grand scale. The most celebrated of his portraits were around 7 feet tall and spanning 5 feet in width, with every wrinkle, dimple, and sunspot boldly and proudly showing through. 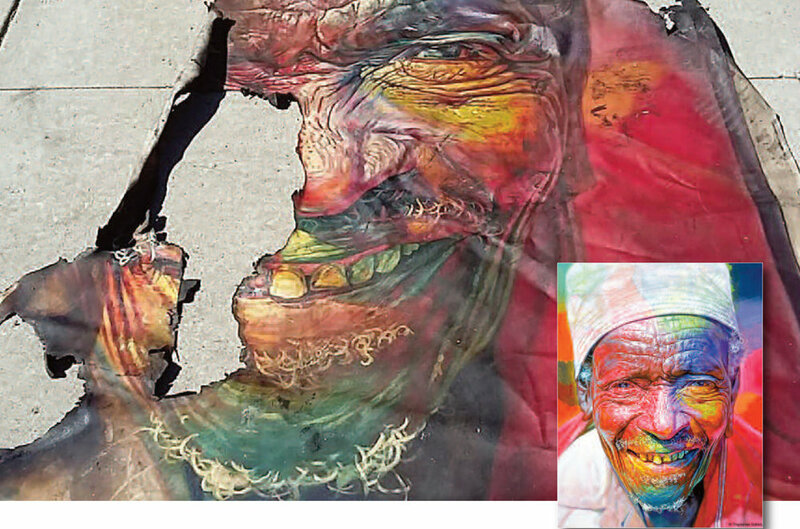 Young, old, joyful and withered faces populate these vibrant canvases, highlighting so many ethnic populations. Stephen also does portraits in other styles: abstract, more neutral in color, and black and white, in order to appeal to the mainstream’s preferences at times. He is equally talented in those genres, particularly in capturing the realism of the human eye, inviting the viewer to experience a oneness within all humanity. 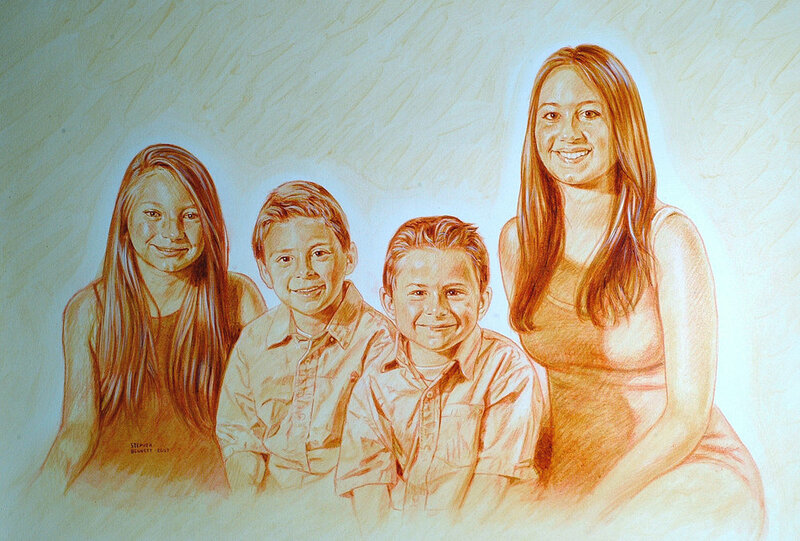 We hope that you’ll join us in supporting CoCo Artist Stephen B., by commissioning a unique portrait that you’ll cherish forever.